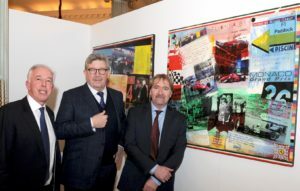 A special exhibition comprising of 25 exclusive paintings celebrating over seventy years of Ferrari had an official unveil at the Royal Automobile Club. ‘Ferrari in Art – The Sporting Legacy’ is a collection of unique artwork celebrating everything Ferrari. The cars, the drivers, the history and most importantly of all, the passion. Ferrari has an unrivalled position in the automotive world. The name itself conjures up the very essence of beauty, design, speed, style… and of course, winning. The new series of works by international artist Mark Dickens in collaboration with renowned F1 photographer Keith Sutton encompasses all the features that make Ferrari so special. For each painting, drivers, owners, fans and motorsport personalities expressed in their own words what ‘Ferrari’ means to them. The result is over 125 unique quotes featuring on to 25 pieces of artwork which artist Mark Dickens worked tirelessly to create. The outcome is a unique, contemporary and historical collection of Ferrari art. Several notable guests attended the launch event. Brenda Vernor reflected on her time as well – as the Personal Assistant to Enzo Ferrari for 20 years. “It was the best years of my life. I was the only woman, an English woman working with 199 men from drivers to mechanics. You couldn’t do that now”. “It’s unbelievable and makes me very proud to see this. For me it’s a dream, to be part of the Ferrari legend is something incredible”. 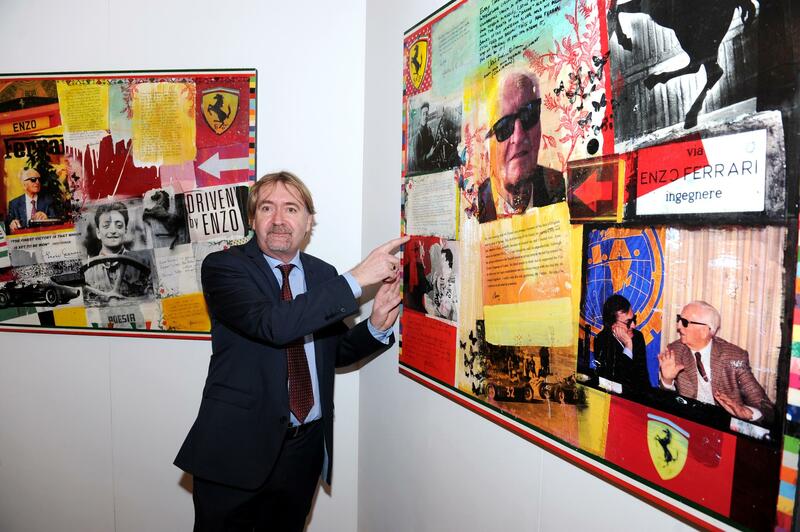 “It’s taken over 9 months to obtain the 125 handwritten quotes from the various personalities associated with Ferrari. 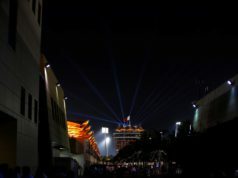 However, everyone that I approached was genuinely enthusiastic and delighted to take part in this unique project”. His work is in the Royal collections of H.H. 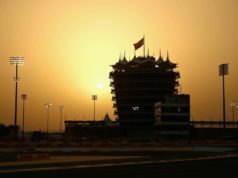 Sheikh Hamdan Bin Zayed Al Nahyan as well as at numerous Grand Prix circuits and collections around the world. He received a commission by Bernie Ecclestone in 2011 to be the official F1 artist. Dickens created a painting for every Grand Prix. Dickens artwork involves collaborations with people and places which take the visual format of mixed media. He builds layers of photographic transfers, paper, gold leaf, fabric, paint and handwritten texts set in resin. The various textures of the composition are very tactile. It’s the second time Mark Dickens and Keith Sutton have collaborated together. In 2014 they created ‘World Champions in Art’ which comprised of 32 paintings, one for each Formula 1 World Champion. 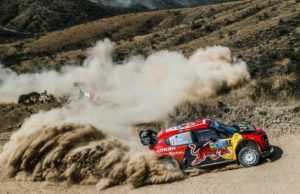 four-time World Champion Sebastian Vettel purchased the collection. The exhibition will not go on tour. Meanwhile, a limited-edition box set of signed prints will be available for others to buy. Jackie Stewart OBE will receive one of the box sets. The legendary Scotsman clinched the World Sportscar Championship for Ferrari in 1967 driving alongside Chris Amon. His quote also features in the collection. Sir Jackie will auction his set off at the Australia F1 Grand Prix to raise money for his charity ‘Race Against Dementia’. Reading the names of those that have contributed to the artwork is like a ‘Who’s Who’ of Ferrari. They are the Designers who helped create the dream to World Champions who realised the dream. From Team Principals who guided the dream to Collectors and Owners who live the dream. And also from Engineers who maintained the dream to the die-hard fans who love the dream! All of which provides a fascinating, historic and personal insight into Ferrari.